Joe’s the one on the right, FYI. Joe knew we were going to be performing Beethoven’s final work, the String Quartet Op. 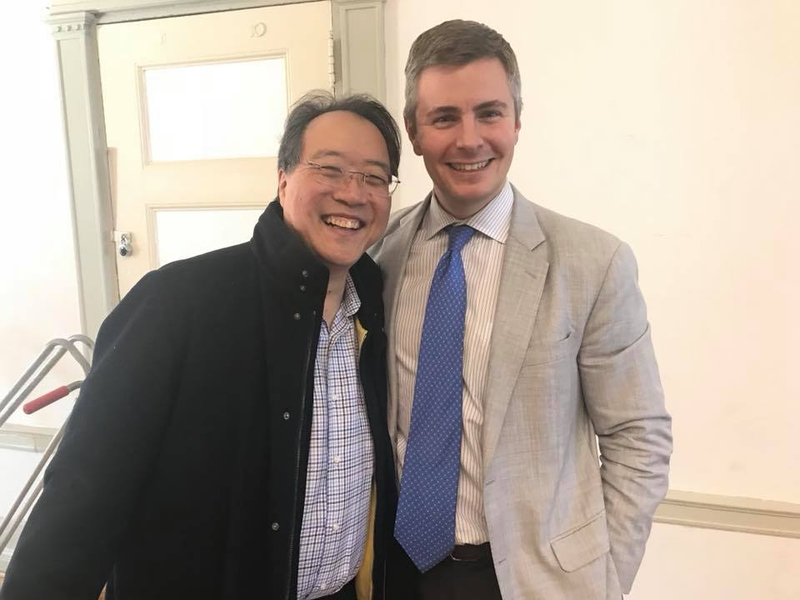 135, at Fulton Hall on the 17th, and he took us all aback by not only loaning us a quartet of instruments, but encouraging us to take some of B&F’s most precious specimens. We were kids in the proverbial candy store, playing on a number of instruments before settling on the ones you’ll hear in Hyde Park. Grancino, Serafin, Goffriller, and Guarneri will instantly raise the eyebrows of professional string players, but more importantly, this is an incredible opportunity for you to experience the actual sounds and sonorities of the era in which this music was written. Scroll down for photos and descriptions of each. We can’t wait to see you at the show – and please, give Joe a high-five for being awesome while you’re there! 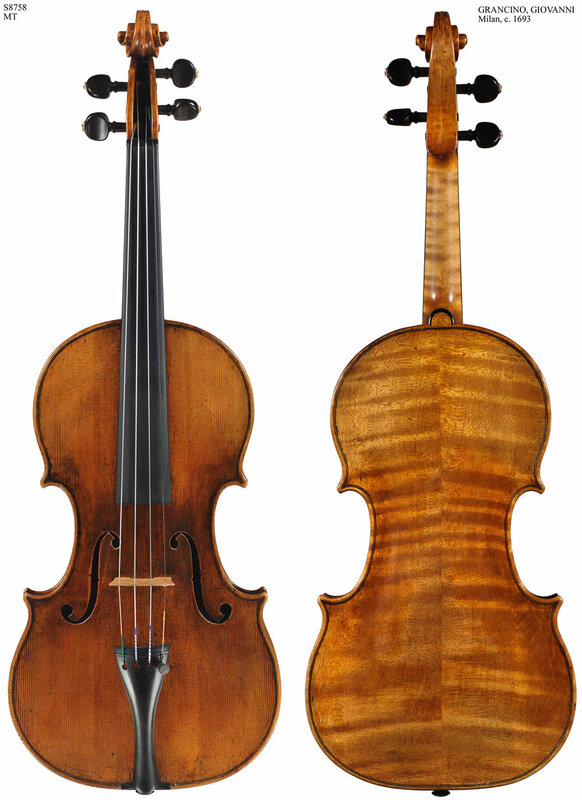 Giovanni Grancino violin made in Milan in 1693. The patriarch of the Milanese school was inspired by the great Nicolo Amati, and this violin is his Masterpiece and the finest known example. It resided in one of the most prominent collections of the 20th Century for three decades before coming to Bein & Fushi in 2008 in a double case with the 1741 'Vieuxtemps' Guarneri del Gesu. Giorgio Serafin violin made in Venice c 1750. Nephew of celebrated Venetian maker Sanctus Seraphin, Giorgio assumed control of the Domenico Montagnana's workshop after marrying one of his daughters. He flourished in the post-Vivaldi Venice and presided over the most successful Venetian shop of the late 18th Century. Matteo Goffriller viola made in Venice c 1727. 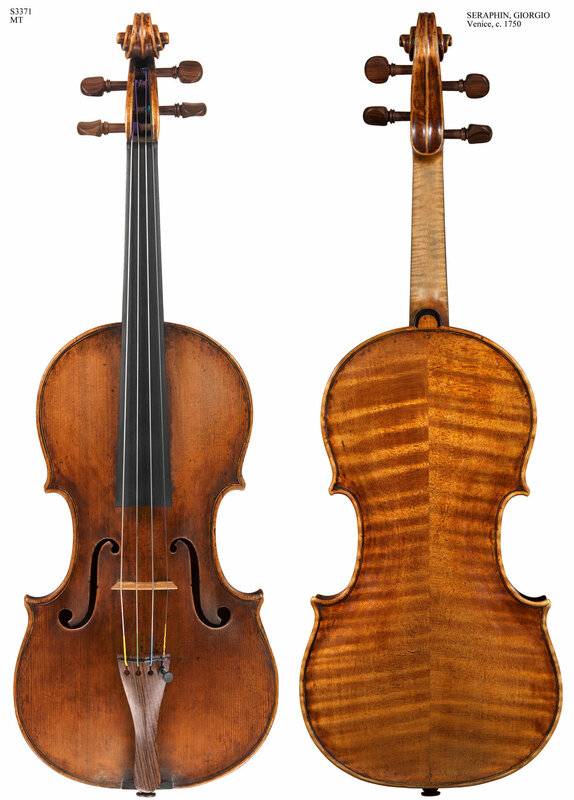 This viola was notably owned by famed 20th Century violist Walter Trampler. Goffriller was a contemporary of Vivaldi's in Venice and built some of the world's greatest cellos. Some of these cellos became the concert instruments of Alfredo Piatti, Pablo Casals, and Janos Starker. There are fewer than 20 known Goffriller violas in the world. Giuseppe Guarneri cello made in Cremona circa 1715. This cello was built in Cremona, which we now look back to as the absolute pinnacle of instrument making. Second only to the great Antonio Stradivari, the dynastic Guarneri family of luthiers built many of the world's most valuable instruments for almost a full century. Guarneri instruments are highly sought after - especially the cellos for their incredibly rich and deep tone. This cello resided within the famed English Chamber Orchestra for many years before coming to Chicago.